Reliable and qualified reference in the field of control supervision and safety equipment for wind energy industrial lifting handling machinery and stage technologies. We produce rotary and position limit switches, pendant and wall-mounted control stations, joysticks foot-switches, slip ring collectors, encoders and sensors. The Galician Association of Metal Industries (ASIME) is the business organisation of metalworking and shipbuilding in Galicia. Our members are suppliers for the wind industry and particularly for the offshore domain as they have lengthy experience in the naval sector. Resolutely committed to sustainable development Tractebel (ENGIE) offers you multidisciplinary experience in renewable energies. Expertise is extended to wind onshore/ offshore solar bioenergy hydroelectricity and marine as well as geothermal energy. Tractebel can also introduce you to new technologies enabling you to use fossil fuels in an environmentally friendly. Travelers is a leading provider of insurance for the renewable energy sector. As specialists in this industry, we have a vast database of industry-specific knowledge that can help clients manage costs. We work hard to deliver outstanding service, quality products and customised solutions – particularly in risk engineering where two senior engineers support the Renewable Energy underwriting function. Based in London, home to the world’s greatest concentration of specialist brokers and underwriters for this class, we have a worldwide remit – and we’re making use of it. In the last 12 months, the team has written business in every continent on the globe. Trelleborg Ridderkerk is your partner in the design and production of engineered rubber products. Our products seal damp and protect in demanding industrial environments worldwide. For most Offshore Wind Farms we have supplied our grout seals self-activating lipseals and inflatable seals. We design and produce elasomeric shockpads for Jack-up Vessels. Made up of engineers from the renewable energy and robotics industries, TSR Wind is a Spanish engineering firm specialised in developing innovative solutions for wind turbine maintenance that has transformed the wind power industry with its magnetic robots. TWEA was established by the Council of Minister in 1992. The goal of TWEA is reaching extensive use of wind energy potential in Turkey so works coordinated with the Government. Now being the member of the EWEA and GWEC TWEA is the most efficient wind energy association in Turkey. With over 30 years of experience in the wind industry, TÜV SÜD offers integrated solutions backed by bestpractice case scenarios from our successful involvement in over 1,000 wind energy projects. We are widely known as an independent third-party specialist capable of delivering reliable and realistic reports to guide your decisions. international standards such as IEC, DNVGL standards. With branches in over 40 countries around the world, we provide local knowledge coupled with global expertise. UBIMET is the leading private weather service provider that processes highly accurate meteorological data into customised prediction and statistical products for the energy sector. UBIMET offers probabilistic multi-model wind power prediction systems, wind time series including long-term correction of measured wind data (MCP), historical re-analysis data, accurate weather forecasts and wind energy indices. (UWEA) is All-Ukrainian non-profit, public organisation aimed at promoting wind energy technologies and ensuring wind energy industry’s interests on the national and international levels. The UWEA links together wind power project developers, wind power equipment manufacturers and suppliers, utilities, construction companies, scientists and researches, lawyers, NGOs, consumers and others involved in the wind industry of Ukraine. UL is a trusted independent advisory, testing, inspection and certification body for a broad range of industries. In the renewable energy space, UL works to help manufacturers, developers, owners, investors, lenders, utilities and policy makers navigate the risk and complexity associated with renewable resources. We have become a trusted advisor by providing access to proven science and expert engineering, and by offering innovative solutions to meet the unique challenges of the renewable energy industry. We pride ourselves on being accessible, flexible and keenly responsive to the needs of our clients. UL now delivers an even more extensive portfolio of renewable energy services, through the acquisitions of AWS Truepower (2016) and DEWI (2012). With offices in over 140 countries, a team of over 500 experts, and 35 years of experience, we advise on wind and solar projects, as well as battery and energy storage technologies, helping our clients make them safer, compliant, and perform to the highest standards. Our goal is to empower trust in renewable energy throughout the project lifecycle and across the supply chain. Wind energy is the fastest growing renewable energy source in the world and has correspondingly reached a high level of significance in the energy branch. We are the first University of Applied Sciences in Switzerland with a research programme specifically for wind energy - and we are engaged in exciting and demanding topics relevant to a digital, renewable future. University of Stavanger (UiS) has 8300 students and 1200 staff. The academic activity is organized within the Faculty of Arts and Education Faculty of Social Science and Faculty of Science and Technology and the Museum of Archaeology. Plus the Research Institute of Stavanger (IRIS). The university is a partner in the Norwegian Centre for Offshore Wind Energy (NORCOWE). The University of Strathclyde, located in Glasgow city centre, is a multi-award-winning UK university. We are home to over 22000 students from 100 countries. Uppsala University has a turnover for 700 Euro, employees are 7,000, 40,000 students, three disciplinary domains and nine faculties. The Department of Earth Sciences at Uppsala University has over 250 employees and teaches more than 2200 students every year. Our focus is on research which means that 75% of what we do is research and 25% is education. At least 30 nationalities are represented at the department. Campus Gotland's Wind Power division conducts research in a range of topics including wind turbine wakes and wake interactions, planning and acceptance for wind power and wind power decommissioning among others. The overall objective of Uppsala University Campus Gotland’s group is to maintain and further develop knowledge of wind energy though research, innovation and education. Our research focuses are on increasing the understanding of wind turbine wakes and wake interactions, stability of the tip vortices as well as the optimization of large wind farms. The Department of Earth Sciences offers an international Master programme (1-year) on Campus Gotland, the Master Programme in Wind Power Project Management as well as a 2-year version, Master Programme in Wind Power Project Management. The Department also offers an international Bachelor's programme, Bachelor Programme in Energy Transition - Sustainability and Leadership. We are also managing several net-based freestanding courses focusing on wind power planning and project development that form the bachelor’s track Wind Power Project Development. The courses are given in English and Swedish and can be combined to a major in a bachelor's degree in Energy Technology. Collaboration, out-reach, is the third important task for the division. Here we commission programs for vocational schools and professional training as well as carry out research communication and various knowledge-building activities. The USE61400-25 user group has the main aim to ease the use of IEC 61400-25 and support users implementing the standard within the windpower industry. „WindEnergieZirkel Hanse e.V.“ (WEZ Hanse e.V.) is a network platform for information exchange and scientific cooperation to strengthen the wind industry in political aspects. The association members represent decision makers of the northern wind industry in Germany. 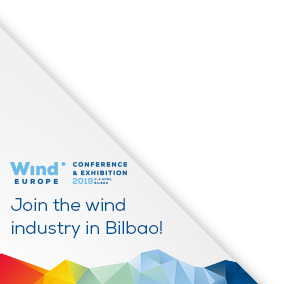 Windnova Systems S.L is a software development company based out of Mallorca, Spain, focused on developing innovative products for the offshore wind farm sector. Our software has been designed by offshore wind farm end users offering an invaluable opportunity to design a product that meets all requirements to successfully manages projects. This intimate experience with different project phases allowed our company to fill in the gaps that were missing from products available from other service providers in this market. We have developed a business philosophy centred on building relationships with our clients. Our system is not like any other, but is a key partner, intimately involved in all key facets of the project’s life cycle, and a valuable resource in ensuring a controlled and seamless process, which results in cost and time savings and overall project success. Windnova’s mission is to ensure the success of offshore wind farm projects by improving project management; reducing costs and time and giving teams better visibility and control of their project status. Our aim is to create a fast and versatile web application that streamlines project development and execution, resulting in an innovative software system that transforms how work gets done in the offshore wind industry, enabling users to work together effortlessly. Windnova is a turn-key web based Wind Project Management Software system, which is both powerful and user-friendly. Its modularity and customisability allows it to meet the specific needs of any offshore wind project through any phase of its life cycle. The system is arranged in modules that manage specific areas of a project through various phases from Project Execution to Operations and Maintenance. These include: Project Register, QHSSE, Marine Coordination, Project Execution and the Tube. windtest grevenbroich gmbh (wtg) offers a wide range of accredited services for the renewable energy sector like measurements of power performance loads electrical characteristics and acoustic noise. Furthermore wtg supports wind park developers banks and insurance agencies with services like site assessment noise prognosis shadow cast prognosis and technical inspections. Automasjon & Data AS is a complete system house for meteorological and oceanographic data systems. Main products are weather stations condition monitoring systems vessel motion monitoring system and met mast instrumentation for marine and offshore wind applications. Also introducing the Wise Buoy – Intelligent MetOcean databuoy system for offshore applications. WKN AG is one of the leading developers of turnkey energy projects in Europe South Africa and the USA. The business activities of the Husum-based pioneer in the wind industry range from development planning and financing to the turnkey construction and operation of energy farms. Wood is a global leader in the delivery of project, engineering and technical services to energy and industrial markets. We operate in more than 60 countries, employing around 55,000 people, with revenues of over $10 billion. We provide performance-driven solutions throughout the asset life-cycle, from concept to decommissioning across a broad range of industrial markets including the upstream, midstream and downstream oil & gas, power & process, environment and infrastructure, clean energy, mining, nuclear and general industrial sectors.